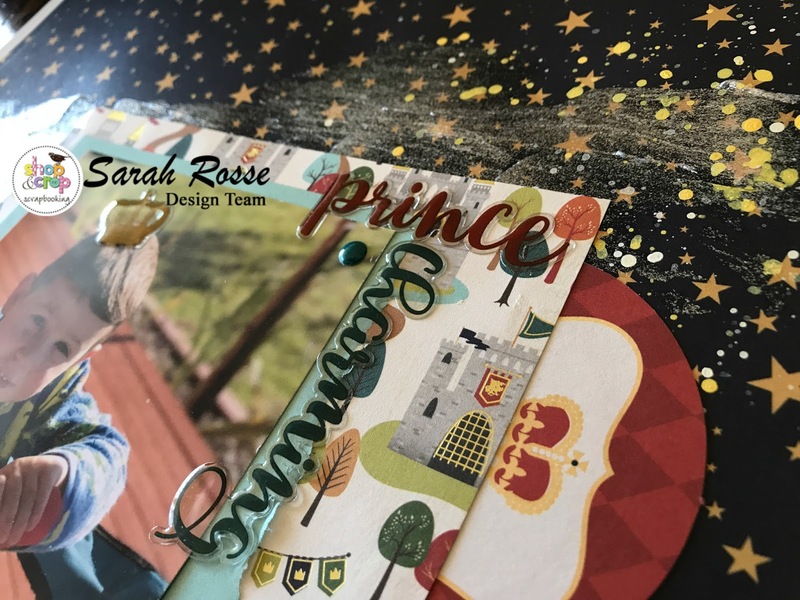 Hello crafty friends, Sarah here today with the most magnificant Echo Park Paper Co. - the Once Upon a Time Prince collection. 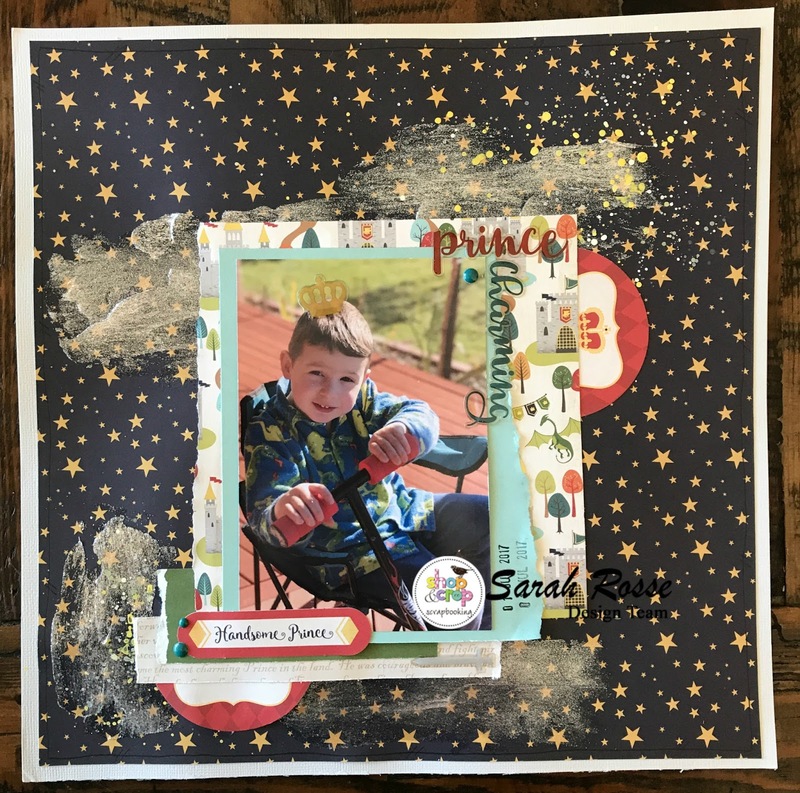 My first layout above uses patterned paper from this collection as the background with some Colour Blast colour paste, Snow White applied. The shine and shimmer of these pastes are gorgeous - the range can be purchased in store here. 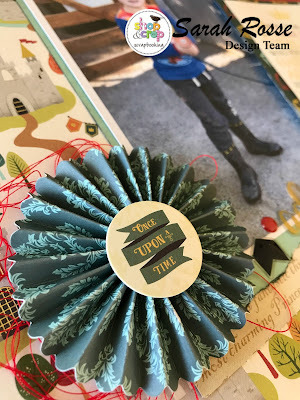 The Once Upon a Time collection can be purchased in store by clicking here. The decorative brads, enamel shapes (the words prince charming on this layout) and ephemera are just adorable. To finish the layout off, I added a few splatters of yellow and white paint to pick up on the stars in the background paper. Lets take a closer look at some of the elements used on this layout. 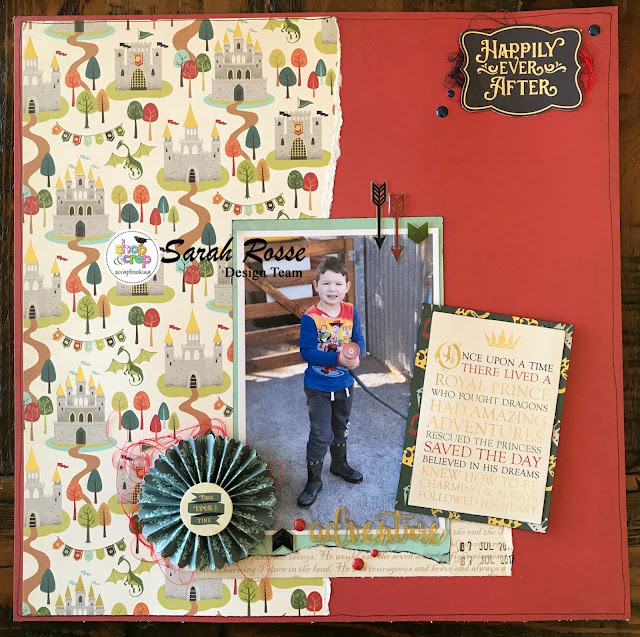 For the second layout, I immediately saw the paper fan and knew I wanted to use a photo of my son from a recent holiday. 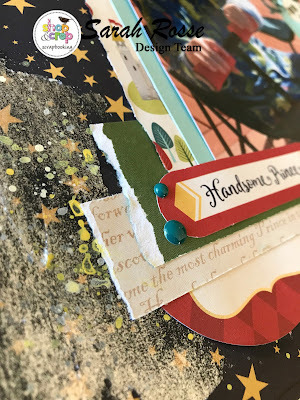 In order to bring some texture to the page, I added some cotton behind the fan and the die cut in the top right corner. On holiday, my son was pretending the hose was a sword (isnt the imagination great!?) and of course he is full of adventure, so this collection is just his style. 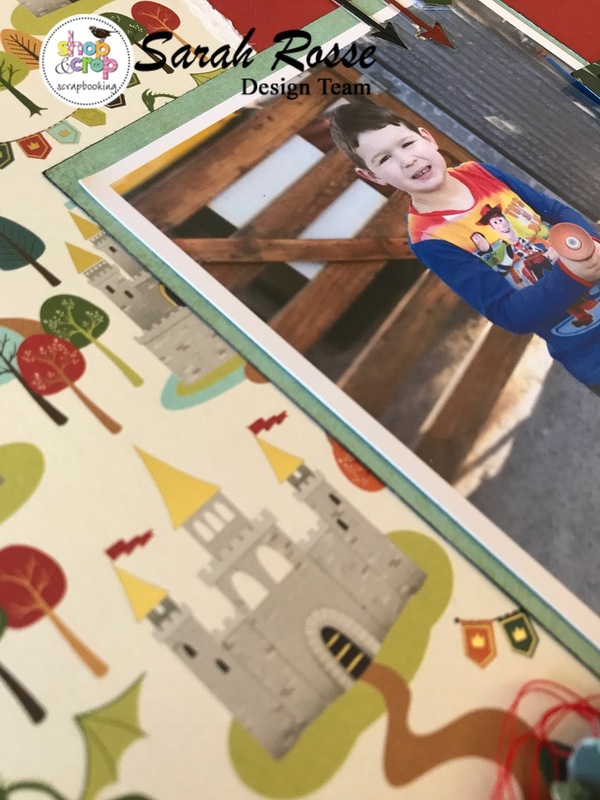 The 'Royal Kingdom' patterned paper i just LOVE. The shiny elements within the paper highlights just the right areas and is not too overwhelming. I knew I had to use a large piece, so this layout shows it off quite nicely. The cut apart card is a nice accent to the main photo of Mr 3. Lets take a closer look at some of these embellishments. I hope you enjoyed these layouts and I look forward to seeing your creations using this Echo Park Paper Co collection. For a $5 discount, dont forget to use the code SR5 at the checkout. What great papers, love the layouts!